Dr. Leita Harris was born in Panama, raised in New York City and has been living in Riverside, CA since 1986. She is the oldest of 4 children and was determined at an early age to pursue her education and become a physician. She graduated from New York University, received her medical degree at Cornell University Medical College and completed her residency at LA County/USC Medical Center. Dr. Harris has been a practicing physician and women’s health specialist for over 27 years. She currently has her own private practice, Nurturing You Women’s Health & Wellness, Inc. Her previous practices were at Riverside Medical Clinic and Kaiser Permanente. She also works as a gynecologist for UCR Student Health Services and is an Associate Clinical Professor at UCR School of Medicine. Her service activity includes the Health Education Committee on the Parkview Community Hospital African American Advisory Board, Parkview Community Hospital Foundation Board, Vines Medical Society and Foundation Board and Administrator and Board member of Eastside Reconciliation Coalition, a nonprofit organization. She is a sought out speaker on Women’s Health in the community. She was blessed to be united with her husband, Pastor Jon S. Harris and joined with him in launching Castle Rock Christian Fellowship Baptist Church in 2001. 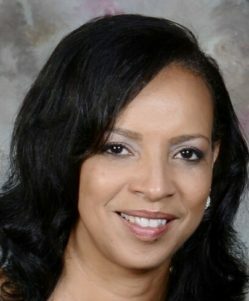 She continues to stand in loving partnership with her husband and pastor, faithfully serving her church family in many capacities including Church Administrator, Sunday School Teacher and Director of the “Daughters of Excellence” ministry, a mentoring ministry for young ladies ages 11-18. She is the blessed mother and stepmother of 5, Baron, Tyler, Jon II, Brandon and Kaylee and her passion is to serve the Lord to her fullest with excellence knowing that God alone will be glorified.